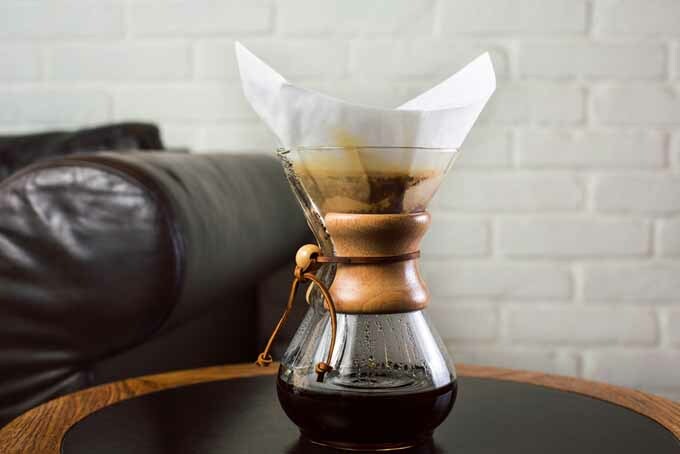 Invented by a chemist in 1941, the Chemex Coffeemaker is simple in appearance and in use, but its extraordinary engineering is designed to brew the best cup of coffee possible. 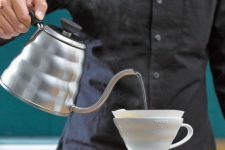 This coffee brewer is a beautifully crafted, simple to use, organically shaped vessel made of high quality borosilicate, a heat-resistant glass that imparts no flavors of its own. This brewing device, together with its propriety bonded paper filters, makes a near perfect beverage that’s clear, pure and flavorful without bitterness or sediment every time. 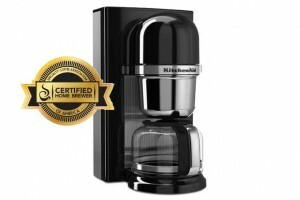 The coffee only comes in contact with the scientifically designed filter and non-porous glass. With this apparatus, you can make coffee as strong as you like without bitterness. 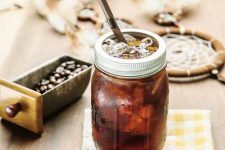 It’s perfect for making iced coffee drinks (like this recipe, our version of a Vietnamese-style iced java made with homemade sweetened condensed milk). 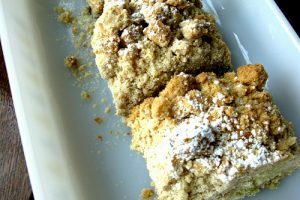 You’ll also love it for preparing coffee flavoring for gourmet recipes. 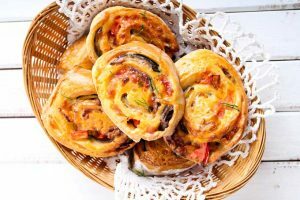 Because of its purity, the resulting extractions can be covered and stored in the refrigerator for reheating… without losing flavor! There are no oils left intact in the brew to go rancid. The traditional “Classic” model is simplicity at its best, and features a polished wood collar and leather tie. The collar serves as an insulated handle around the middle that protects your fingers from the heat. 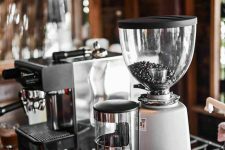 Simple, functional operation and a visual elegance combine for the optimum extraction of full, rich-bodied brews. Available in three (16 oz. ), six (30 oz. ), eight (40 oz. ), and ten (50 oz.) 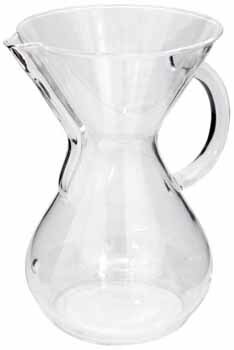 cup versions, the Chemex Classic Series coffeemaker is both elegant and versatile. Check out what other reviewers have to say on Amazon. The Glass Handle Series is also available, and this line features beautifully curve glass handles that add an elegant but useful feature to the device. 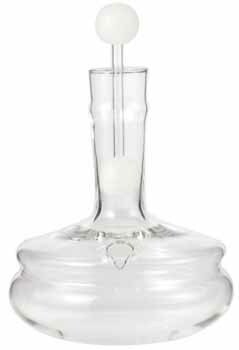 Another popular option is the Hand Blown Series, completely handcrafted by skilled tradesmen utilizing ultra-clear glass. These are available in three, five, eight, and thirteen ounces. 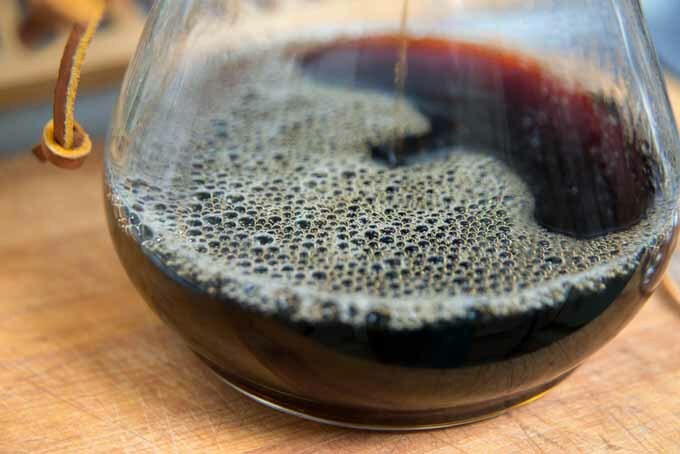 Tip: The Chemex (as well as other brewing devices) are measured using a 5 oz. measure to represent 1 cup. If you are used to today’s American style 8-10 oz. 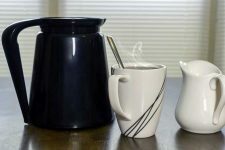 coffee mugs and typically use that reference point to represent one cup, it may be advisable to order a size or two larger than you were initially considering. 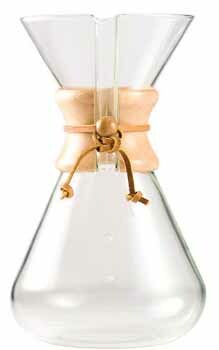 A hand blown Chemex Water Kettle is also available, and it’s a pure testament to the idea of form following function. Designed at end of the Art Deco era with a touch of mid-century modern, using this water kettle is one of the classiest ways to boil up to two quarts of water. A “steam stopper” valve directs steam up and out and the neck remains relatively cool to the touch, serving as a handle. The Hand Blown Kettle also functions as a beverage server, as its nonporous glass will not impart any flavors to any hot or cold liquid. This is one of the most elegant ways to present coffee and tea products to your guests. The Glass Coffeemaker Cover is a must for keeping coffee warm. The glass cover keeps coffee at the proper strength as well, by preventing evaporation. It fits all of the Chemex coffeemakers. 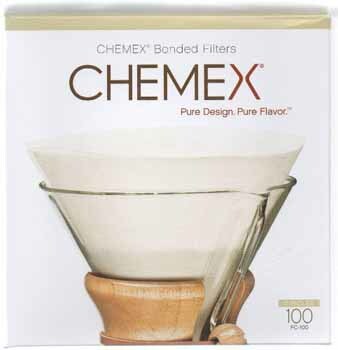 One of the key factors that makes the Chemex Coffeemaker so functional is its proprietary filter paper. Not just any filter paper will work. The extra thick filter is strong enough to be removed from the brewer without disintegrating and leaving you with used coffee grounds all over the place. Stronger paper is also required to keep its shape, so it doesn’t slide down into the vessel. The thick paper also traps sediment that other filters miss. This sediment is responsible for the bulk of the bitter taste often associated with other coffee brewing methods, such as the basic French press. However, the most important reason for using the proprietary paper is to remove oils that may quickly oxidize and become rancid, giving a sour taste to the coffee. 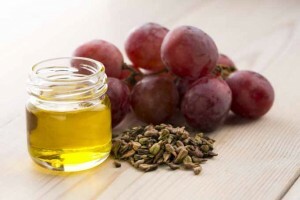 These oils also contain some LDL or “bad” cholesterol. Together with the advanced filter paper, the non-porous glass prevents off flavoring. 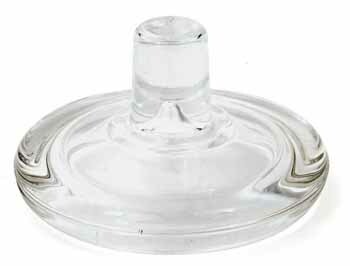 If sealed using the Chemex CMC Glass Coffeemaker Cover or other methods, coffee can be stored in the refrigerator to be served cold or reheated without losing flavor and without becoming sour. The process used to brew coffee using the Chemex is very simple. Use these steps, tips, and techniques to brew up the perfect batch. Step 1. Start off by boiling some water. Once your kettle or pot has finished boiling, let it sit for a few moments to cool down to the optimal temperature – around 200°F. This is one of the best parts of this brewing system, in that you get to control the temperature. 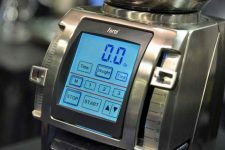 The ability to maintain a good temperature all the time means no more weak coffee from automatic drip machines that are notorious for brewing at too low of temperature – especially as they age. Step 2. Place filter into the top section of the brewer and wet it. Take care to assure that the thicker, 3-layered side of the filter faces the spout. Pour some water over the filter to wet it. Get rid of the water collected in the vessel by pouring it out, and the filter should stick in place. TIP: Alternatively, you can wet the filter first under hot tap water – this should remove any chance of imparting a paper taste to the coffee. Step 3. Put in coffee grounds and wet them. oils break away into the hot water. moments. In other words, soak the coffee grounds just a bit. How much coffee to use? About 8 grams per 5 oz. cup. That’s two flat tablespoons for mild roasted coffee. 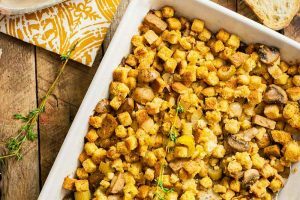 Heap them just a little if you’re going to use a darker/Italian roast, as the grounds are lighter and therefore take up more volume. As for all methods of coffee preparation, the grind is important. Pre-ground coffee with a “regular” grind (the kind made for the old percolator pots) works much better than the “automatic drip” grind made for modern coffee makers. However, drip grind will work, albeit at slower pace. 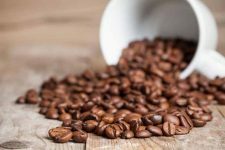 We really recommend grinding fresh roasted beans obtained from your local coffee roaster or the internet by using either a high quality hand operated burr grinder or an electric burr grinder. Blade grinders are not recommended, as they are suitable for spice grinding only. 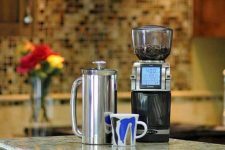 We recommend the Baratza Encore Coffee Grinder as the biggest bang for the buck in electric burr coffee grinders. Step 4. Pour the water. Now you can start pouring the water gently into the coffee grounds. Try to distribute evenly, not just pouring from one side. Let the brewer fill according to how much coffee is in the filter. Step 5. Remove the filter. They are disposable and both filter and grounds can be composted. If you’ve purchased the optional lid, put it on to keep the coffee warm until you serve it. Enjoy! 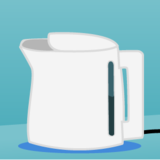 Use some boiled water to preheat your coffee cups, like the coffee shops do. This helps to ensure that your coffee temp doesn’t drop a couple of degrees when you pour it into the cup. The more coffee you brew at a time, the better. Brewing just one cup lets a lot of its heat escape. A bit of a paper taste is also said to creep in. Plus, it’s fun to be around fellow java junkies and share the experience. 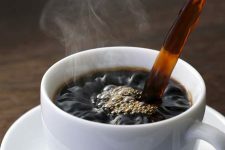 Coffee should not be brewed with boiling water. This will burn it, giving it a bitter taste. Brewing temperature should be around 200°F. If you have a thermometer, why not use it? If not, letting the boiled water sit for half a minute does the job. 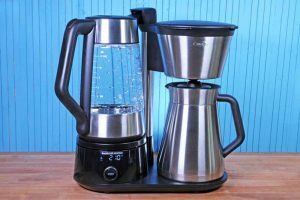 An electric kettle that has a temperature control or a stove top kettle with a built in thermometer is a very good investment, and will make life so much easier if you are using the Chemex Coffeemaker, French press, or other pour over methods on a regular basis. Although it may look like a flower vase, or something that belongs in a haiku, the functionality of the Chemex Coffeemaker blends beautifully with its elegant, organic form. 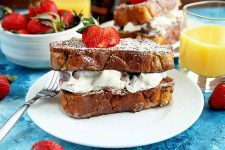 Most importantly, it brews an excellent, lively cup with a tasty bouquet of flavors. 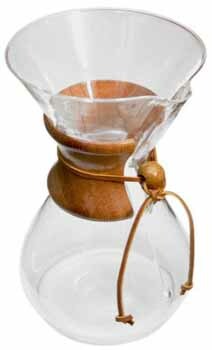 See all Chemex products on Amazon now. Graphics by Josh Ponelat © 2014 Foodal. All rights reserved. Coffee Definitions and Terms That You Should Know! I love how this coffee pot is designed. It makes coffee brewing look elegant. I didn’t know about how oils could cause rancidity. Nobody wants that to happen especially if they paid so much money for their beans. Sure, all oil goes rancid…it just happens faster in java juice. 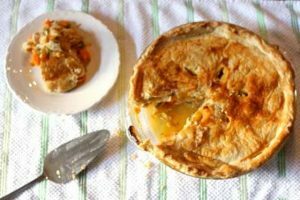 The beans won’t go rancid (well I guess technically they could if you kept them long enough) – they go stale a couple of weeks after roasting. The brew is what becomes rancid due to the oil. 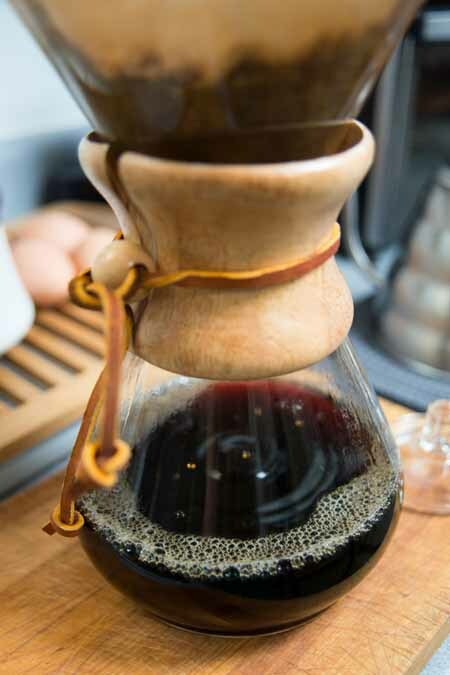 I’ve heard of the Chemex, but have never read up on it until I saw this article. I like the look of that classic style, and if I were to buy one, that’s the type I would choose, primarily because it seems to have the best grip, which I would need, since I tend to drop things. The hand blown unit is lovely, but I would never forgive myself if I dropped it. 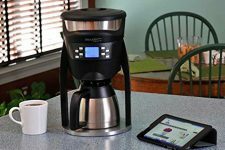 This sounds like the perfect system for weekends and special occasions, when we have a little extra time to spend on making a special cup or pot of coffee. I wasn’t aware of preheating the cups, so I will have to start doing that! The hand blown ones are actually a little thicker maker them a little bit tougher if the happen to fall over. None of them will survive a trip to a porcelain tiled floor though. The regular units are cheap enough to replace. The hand blown are a little pricier. I am really interested about this however I thought that the glass in a french press, where you would spend more or less the same money for this item, would be the same. As in not tainting the coffee? I might be completely mistaken but I feel like it would be something that looks different and can grab the attention of guests as it is something that they would normally not be used to seeing. I have not tested out the filter paper so I can not comment on that. 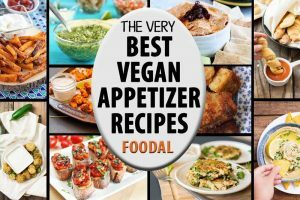 However there are a few good tips in here even just for brewing coffee in general such as blooming before actually pouring in a large quantity of water. It is defintely something interesting and a new technique that I will be happy to try out! Yes, generally French presses are made of borosilicate glass. Although I wouldn’t recommend a glass press. My recommended model will be featured in a day or two on another post – it’s made of all stainless with an improved filter. What an informative article! My Keurig just broke so I have been on the market for a new system. I like this because It takes up such little space on the counter unlike my Keurig which took up so much space! I’ll bet the Chemex is so beautifully quiet, too. I like the ritual of preparing coffee so I am definitely interested in this now! Next stop: Amazon.com! Thanks! 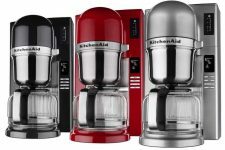 I never knew this type of coffee maker existed until the other day my elder aunt said she uses it. I was in awe. All this time I thought she was using a Keurig when she said she was using a single cup brew. She mentioned that since its only her there is no point to making a whole cup of coffee. I also am not a fan of the keurigs. I think the coffee comes out tasting like plastic. Well I would consider myself an avid coffee drinker, but I can honestly say that I have never had a cup of coffee that was made this way, at least not that I am aware of. It sounds like a winner though, and I am very interested in trying this and might just have to go and do some shopping around this weekend. It might make a really nice gift too, which is always a plus. I have been needing something to spice up my pretty dull coffee habit, so maybe this might just do the trick. Thanks for sharing. as long as you’re willing to make the time to use this method correctly you’ll be rewarded with an excellent cup.The filter really makes it a clean cup. it is something you will notice right away particularly if you drink coffee black. I would recommend “fruity” coffees like an Ethiopian rather than a French or Italian type coffee. if you watch you tube videos on brewing with chemex many people comment/complain that it takes too long or is too involved. They are correct if you’re used to k-cups or drip machines. it takes about 4 minutes to brew and maybe another 2 minutes of prep so it’s not quick and convenient like a Keurig. I would say a french press is easier as well because you don’t need to control the pouring of water as much as with chemex. btw, another brewer that is similar in that it has a cone paper filter with one big hole that the coffee/water flows through is a Hario. if you use the small model you can brew in 1 1/2 -2 minutes. this is one cup at a time so if you need more coffee a chemex is the better option. 2., use the correct grind. 3. brew at the right temperature.